OxygenOS, The New OnePlus ROM Coming On Feb 12th! The Micromax – OnePlus One fiasco has given birth to a new ROM and it has been christened as OxygenOS. OnePlus has been working on their new ROM for a few months now, and seems it will soon be available to Indian OnePlus One users. But first, why did OnePlus come up with their own ROM even though they got great reviews with their existing CyanogenMod OS? One of the reasons is obviously that their partnership with CyanogenMod has soured due to Micromax who forged an exclusive partnership with them for India and stopped Cyanogen from providing any further support to Indian OnePlus One users. Apart from that, it was imperative for OnePlus to come up with their own ROM given the popularity their flagship phone – OnePlus One – got across the world. With hundreds of thousands of users (or even millions) using OnePlus, they could not depend entirely on Cyanogen and had to come up with their OS! Not too many details are knows about OxygenOS just yet, but we will try to give you some sense of what you should expect from this new Mobile Operating system. What you should expect from OxygenOS? One thing is sure, OxygenOS will reflect the same openness and flexibility that Cyanogen OS provides, or probably more. They obviously want their existing users to move to OxygenOS, so it HAS to be better that Cyanogen. While it will be difficult for OxygenOS to be as polished as Cyanogen initially, over next few iterations users should expect it to get there. 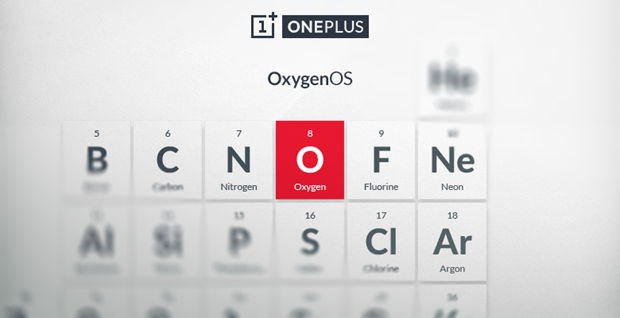 OnePlus has named the new OS for a reason – They want the OS to be as simple as Oxygen. In their words, “As an element, Oxygen is the epitome of simplicity, yet it’s also extraordinarily powerful.” which is what they want to reflect in OxygenOS. I am myself a OnePlus One user, and I am excited to hear news of OxygenOS. However, I am not sure whether I will move from Cyanogen OS to OxygenOS immediately. Infact, I’m hoping that OnePlus will still allow users to download CM12 OS (based on Android Lollipop) through OTA update when it becomes available. Infact, best thing that OnePlus can do is to provide some sort of simple migration tool that will allow users to choose between CM12 and OxygenOS, as per their choice and receive OTA updates for whichever version of Android is loaded on user’s OnePlus One. Another thing that OnePlus users need to keep in mind is that CM12 will be the last Cyanogen OS that OnePlus may support! Their upcoming OnePlus 2 will obviously chuck Cyanogen completely and come with OxygenOS by default! Now Cyanogen Says NO UPDATES For OnePlus One Sold In India! It will be available on Amazon tomorrow without an invite. I think the new OS will be a challenge and now a tough competition prevails between Cyanogen, Android and Oxygen OS. @Jason we can’t say competition between Cyanogen/Oxygen with Android as both are just flavored android based on stock android and not different OS all-together. Yes, the competition between Cyanogen AND Oxygen would be fair – both are custom ROMs.